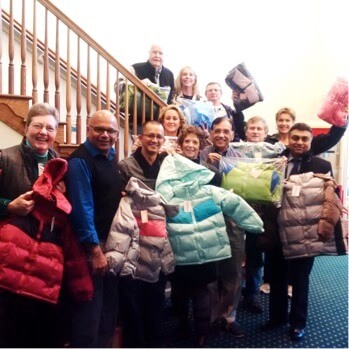 December, 2016 (Rehoboth, DE) – The partnership of two dedicated organizations – Rehoboth Beach Sunrise Rotary Club and Operation Warm – will result in a much more comfortable winter for 84 Cape Henlopen students receiving brand new coats as a result of the joint effort, according to Sunrise Rotary Club President Pat Campbell-White. The coats were distributed earlier this week to children identified by the Cape Henlopen school district and West Rehoboth Community Center as most in need of the warming donation. 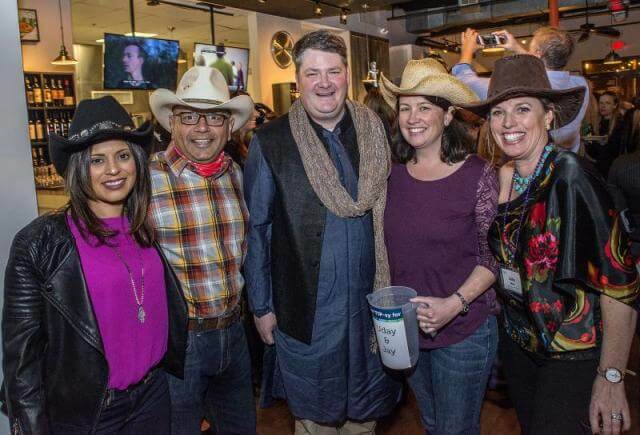 Sunrise Rotary’s participation in the project was sparked by the Club’s Community Services Chair Uday Jani, MD, when he participated in a recent “Run Inspired” race and learned of the organization’s support of Operation Warm. When he explained the program to the Club and to Harry Keswani, founder of the local Harry K Foundation, he received immediate and generous support. Operation Warm is one of many worthwhile fundraising efforts spearheaded by the Sunrise Rotary Club throughout the year. In 2017, the Club plans to support key projects that include Flags for Heroes, the 14th annual Championship Sunday Tailgate Fundraising Party and the 2nd annual Empty Bowls Fundraiser to help feed hungry families. Membership is open to service-oriented residents and workers in the community, and guests are welcome to attend events. To learn more about Sunrise Rotary and provide financial or volunteer support, please visit www.RehobothSunrise.Rotary-clubs.org. Rehoboth Beach Sunrise Rotary Provides Much-Needed Warmth to Local Children: Teaming up with Operation Warm, in early December the Sunrise Rotary Club donated 84 brand new winter coats to Cape Henlopen students in need.